Quiet, upper story end unit located directly on the beach with fabulous views! Complete custom remodel with many upgrades: granite counters, custom cabinetry, stainless appliances, fully-equipped kitchen, fireplace, 2 large flat screen TVs, wifi, washer & dryer, and slate deck with outside electric grill. Light and bright with large oceanfront windows and six skylights. Must see to appreciate! No smoking, no pets, linens & towels are provided. NIGHTLY MINIMUMS VARY SUMMER AND HOLIDAYS. Everything was great and the Coastal Escapes ladies were helpful as always. door to the beach. So many of the condos in this property are badly in need of improvements. Owners did a great job of updating this one. Also appreciate that linens are included. Rhonda N from Delano, CA does not recommend this vacation rental. The rental has been our favorite. It's beautiful views are awesome. The living room furniture is outdated and uncomfortable. Sad to say It's too expensive for us to stay there anymore. Wonderful location in Cayucos! Great condo with all the essentials for a relaxing visit. Only downside: Price is on the higher side. Not great location to outdoor bbq (electric grill kept in inside closet) as it is a small deck or outside front door. Very do-able! ; but not ideal if you want to grill a large meal. Kitchen is great! This property is A-1 in every way! Over the past 20+ years our Girl's Weekend has been in Cayucos and/or Cambria. For the vast majority of those years Coastal Escapes has been our agency for both cities. The week at B5 was absolutely wonderful. We whale watched from the back deck. The weather was perfect. Praying we can go back soon. This second story condo has great views on both the first and second floor levels. It is clean and NOT cluttered. It is renter friendly. Coastal Escapes ladies are the best!! From the moment you walk in you can see the ocean and the pier. Nice job on the remodel too. This place is very clean and nicely decorated. We sat on the Balcony alot and just watched the surfers and the waves. We will be back. We enjoyed our stay. We will go back there again God willing. This was the fourth year we have stayed at this condo. We love the location, and the condo is very nice. 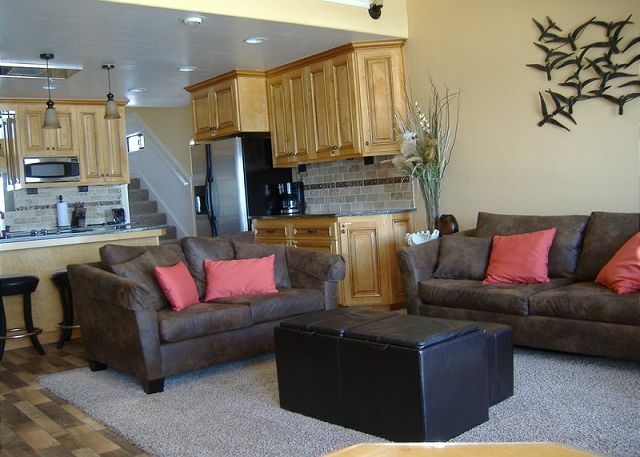 It is plenty roomy for 2 couples, well-maintained, and very quiet. If you're looking to get away from the hustle and bustle of the city, Cayucos and this condo are the place. The view is amazing. The kitchen is well equipped. The beds are very comfortable. We will go back as often as possible to this beautiful home. Love this condo. Perfect condition and beach luxury at it's best. Photos cannot convey the fabulousness of the view from this condo. You are perched a hundred feet above the sand amongst the branches of the trees. Live the dream and fall asleep to crashing waves. There are great restaurants in town, but you are only ten minutes from great restaurants and quaint shops in Morro Bay (also otters). Only twenty minutes from San Luis Obispo and even more great restaurants, Trader Joes, Whole Foods and the amazing Thursday night Farmers Market. It was very convenient to have a washer and dryer in the condo with modern appliances. (Oftentimes rentals have appliances that seem to be from the last century.) Wonderful though this condo is all other respects, I would advise to bring your own chef's knife. The knife provided will not take an edge. Clean, lovely remodeled condo overlooking the beach. Perfect space for six. This had to be the most incredible vacation I have been on in a very long time. The condo was amazing with an amazing view. We seen whales and dolphins every night it was just an amazing experience by far. I will definitely be coming back this will be an area that we use frequently. The condo is updated, comfortable and provides a beautiful view. We love this place. Stayed 3 1/2 weeks and did not want to leave. Looking at hotels in the area for about $250 each, we ended up coming across this gem for $300 a night. Since we went with another couple, it cut the price in half and was well worth every penny. Outside could use a makeover, but that's the association's job. The owner has really taken care of the inside. We would love to make it back, maybe even with kids the next time! We stayed in a Cayucos condo many years ago and it is our favorite spot on the coast. This unit is beautifully decorated and equipped with everything we needed. Can't wait to return! That condo is the best. Always fun especially this time of year with all the rain we've had it looked like fairyland. The really great thing too was the day we had to leave for home the weather got cold so it wasn't so bad. We've stayed in this unit before with our group a couple of times. Walking distance to downtown Cayucos, close drive to Central Coast Wine areas and other beach attractions. Great view from the patio door. We did have a problem with the refrigerator that was handled quickly by the management. This is a nicely updated condo. The kitchen was organized and well equipped. Easy walk to downtown. Right on the beach, couldn't be better. Glad to have linens included. This is a lovely, upgraded condo with great views. EXCELLENT CONDO. PLAN TO RETURN. It was a perfect place to truly enjoy Cayucos. This well-appointed condo is perfect in location, amenities, and comfort. The skylights and deck allow the sound of the surf to lull you to sleep and the beach is incredible for watching wildlife as well as people with their dogs. A fabulous memory! A week long anniversary celebration was the ultimate enjoyment in a beautifully remodeled and up-dated condo. The deck view of Cayucos and the pier was extraordinary. Extension cord for grill missing. Floor needed good mopping...dirty when we arrived. The whole experience was wonderful. The only complaint is trying to work the TV in the living room. 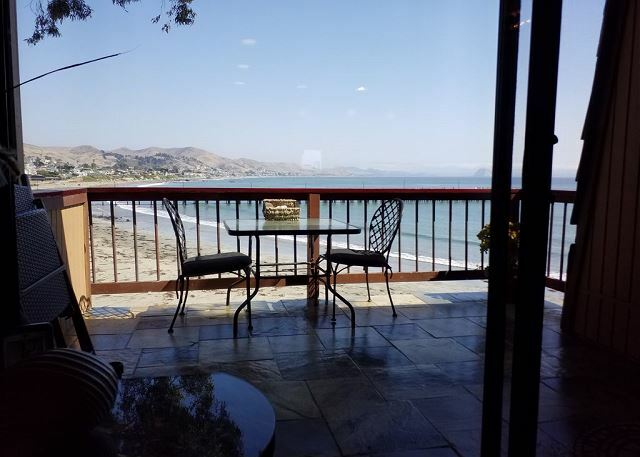 When we walked through the door and saw the view to the Cayucos Bay my husband said, "oh honey, you did good!". Our son and his girlfriend joined us for a few days. The two bedroom two bathroom design was perfect for us. The condo is everything it claims to be and more. We leisurely cooked breakfast in the mornings then explore parts of Cayucos, Morrow Bay, Cambria, and Hearst Castle, and the beach. The only exception was the no pet policy, and the TV reception. At times at night the picture and audio didn't match. Perhaps consider switching to Direct TV if available. Wonderful location. Beautifully decorated. Walked to downtown to get my coffee every morning. Cayucos is close to so much. Hearst Castle, the Elephant Seal, Wine Country etc. Only issues were connecting in any way via our mifis or their interenet and remote was not easy to use. We were extremely pleased when we arrived at our condo. it had been completely redone. Nothing had been spared! Beautiful view too! Within walking distance to everything, Couldn't of been happier! My hubby and I stayed here for 4 nights in February and loved every minute of it. The condo was immaculate, beautiful and perfectly located. The ocean is right below you so you can hear the waves at all times. There are not views from either bedroom but that didn't bother us. The walk into town in 5 minutes. Morro Bay is a 10 minute drive and Cambria was a 20 minute drive. I would definitely stay here again. We loved our stay in Cayucos. The condo has a beautiful view. It is fully equipped and is the perfect spot to relax & enjoy life. The beach house is beautifully designed and decorated. The comfort and beauty of the interior is the perfect pairing with the awesome sight and sound of the ocean. Cayucos is so serene and unspoiled. This beach house was wonderful and we can't wait to return. The management team was very professional and accommodating. Everything about this unit was great. It being located right on the ocean was beautifully. The home is well maintained and had everything we needed. The only complaint we had was the refrigerator and microwave were not left clean. Six of us spent four nights in units B5 & B1. We love to watch the birds and surfers as well as people playing with their dogs in the surf from our balcony. Walking the beach is lovely and the condos are just a nice walking distance from shops. I want to own that place!!! Our trip there was better than Hawaii. The condo was more equipped and beautiful than we ever could expect. The minute I walked in I felt like I could live there FOREVER!! We loved our weekend in this gorgeous condo with amazing views of the Pacific and the Cayucos Pier. Everything was perfect. The only thing I would mention is that we could not locate the electrical outlet on the balcony for using the electric grill, nor could we locate an extension cord. So, we cooked indoors. My family is already thinking about when, not if, we will return. Thank you!! a very relaxing way to spend some quality time at the beach the condo was very clean and the beds were above average my only compliant was that the kitchen was not very well stocked with good quality items if you are a cook that would be a challenge but the rest of my comments are only good. Love it. Would stay again. Thank you for a great place to stay. Great rental! Well-appointed, wonderful view, and newly refurbished. I would definitely recommend this rental. Love this sleepy little beach town and this well appointed beautiful condo made our trip so comfortable and relaxing. We thoroughly enjoyed our stay. Our family of 6 wanted a nice family time before we dropped our youngest off at Cal Poly. The condo was perfect for us. It had linens and towels and was very well equipped so we did not need to bring much, which was good because the car was filled with the freshman's stuff. The view was beautiful and relaxing. We had a wonderful time. We could not ask for anything better. Location, view, and amenities were easily a "Cut Above" all others. We hope to return next year during the summer season. Cayucos is close to Morro Bay, Hearst Castle and Paso Robles so there are a lot of day trips while spending evenings on the beach. The condo was very nice and we expect we will try to stay again on our next trip. They have not spared any expense on this property. Absolutely beautiful! From the fixtures to the lighting all the way down to the linen, sooo soft! Million dollar view, can not beat it. Cayucos is a great little town, from the food to the shops and even has a community pool. The only problem with the whole experience was the pier is closed down due to stucture damage and is scheduled to start repairs this month. One of the major factors I chose this location was so my son and I could finally find time to do some pierfishing. There was no mention anywhere that tells you the pier is closed. This was our first time staying in Cayucos and this place was great. Very clean, spacious and a wonderful view of the ocean. The complex is quiet and within walking distance of shops, etc. This condo was wonderful. 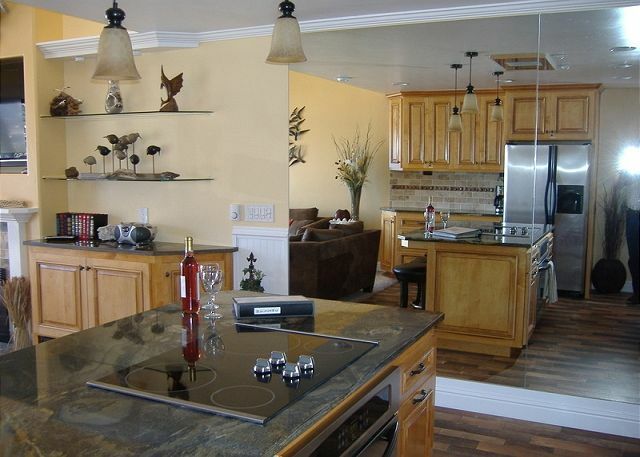 It was remodeled nicely with picture views of the ocean, pier, and Morro Rock. Very quiet and peaceful; waves crashing just below the unit. Easy walk to town. We so enjoyed our visit. 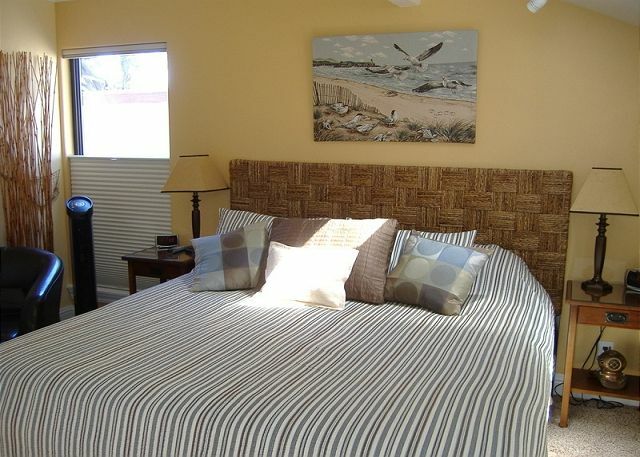 A newly remodeled condo with great views and all the amenities needed for a vacation stay by the beach. A wonderful property. It accommodated six adults very comfortably with a newly renovated and nicely appointed rooms and kitchen. Quick access to the beach with a wonderful vista of the bay and pier. Beautiful place with gorgeous sweeping views of the ocean. Only small disappointment was that the Cayucos beach is not your 'traditional tourist' beach with white sands and big waves - but less if a crowd because of this. Tide pools near the condo were a big bonus. Overall - the place is VERY nice and would highly recommend to all! This condo was the perfect escape from reality. The remodel of this unit was well planned and really makes it even more perfect. The unit is quiet and has everything you could need or want! Beautiful condo at a great location with wonderful views. Loved the sounds of the waves. Unfortunately the Internet connection was extremely slow. It was near impossible to even download email. We had planned to catch up in some work while relaxing at the condo. It did not work out because of the slow Internet connection. It's a secret don't tell anybody. OK? A friendly tip for the property owners. Everything was excellent, but of course, the price of the property demands that. The decor very pleasing to the eyes, the architecture solutions very clever and useful. Our suggestion - the sofas in the living room not the most comfortable, even for a person with healthy back. This is the main thing we would invest in if we would be the owners of the property. Other than that - thank You so much for letting us use your place. 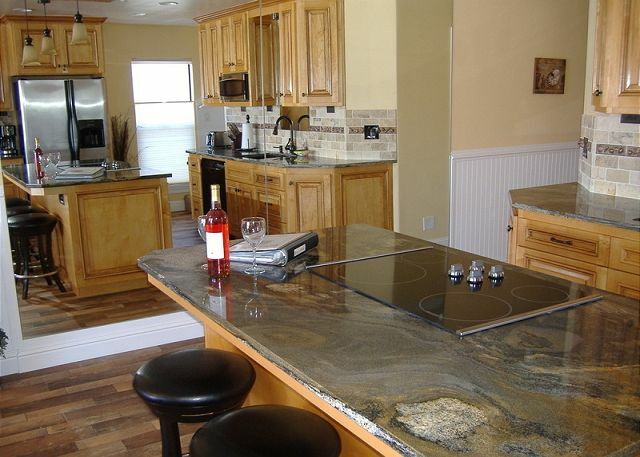 A great location and view with easy access to the beach, San Simeon, Morro Bay, and a short walk to town. The 6 of us(4 adults and 2 teenagers) enjoyed the connected space of kitchen, living, and dining area. It was open and light and perfect for family togetherness. Kitchen was well organized, labeled and fully stocked. Having been a building contractor for 30 years, my husband appreciated the design, quality, and detail of the recent remodel. We liked the mattress topper in the upstairs bedroom so much we bought one immediately upon our return home. 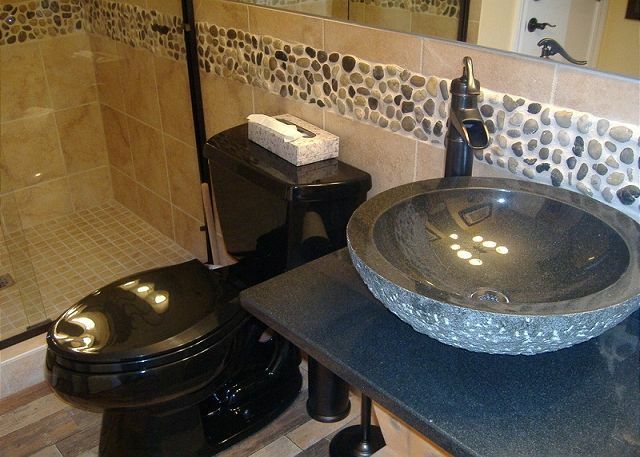 We liked the choice of faucets, especially the ease of working the shower. We'd love to visit again. This was our third stay in Unit B5. We enjoy the visit with our married daughter and son and their spouses. It's a great location for staring at the ocean and vegging, but also a good location for wine tasting either north in the Paso wine region or south in Edna Valley. The condo is well maintained and nicely appointed. Very nice place, great location. We've rented this place twice, in two separate years. Both times have been great experiences. It's in such a great location, and it is a very, very nice place to stay and relax for a few days. Lovely experience and an amazing condo. The unit was very nicely renovated and the location was awesome. Stayed for a weekend and the weather was beautiful. I left my laptop computer at the condo after we left but the coastal escapes team made sure I got it back and shipped it back to me. Professional and courteous all the way around! We loved every part of it. The interior design and attention to detail in every part of the condo was outstanding and made all of us really enjoy the 3 days we were there. It would be nice if the beds had nicer blankets that did not keep sliding down--they are slick. I have been vacationing in Cayucos for over 50 years. This condo is hands down the best spot ever. I can't think of 1 negative thing to say. The modern upgrades, the views, the proximity to town..perfect. I've already reserved this condo for next year and can foresee coming here on a yearly basis. Recently remodeled, with new everything. A little over decorated with a nautical them, but the location and condition are just great. Even though it was Cal Poly Graduation and the condo development was full e never heard any of our neighbors. View of the beach and one long block from town. It is newly refurbished and our stay was great! spent 2 nights at this gorgeous place. couldn't have been happier with accommodations. will definitely be back! Great week in the Central Coast! We lived in San Luis Obispo for several years and wanted to head back to visit friends. We were looking for a great beach house a little further north in Cayucos. This rental is amazing! The pictures could not possibly do the view justice. The space is perfect for a family! Beach access, access to restaurants was perfect. We would stay there again without a second thought. This was a perfect family getaway. We knew we wanted a beachfront location, and this condo fit all our needs. We enjoyed the stunning view, the quick way down the staircase to the beach, and the full luxuries of this condo (updated kitchen, huge window views of the beach, large tv, dvd, etc...) Our three kids (teenagers) enjoyed the freedom of roaming on the beach. 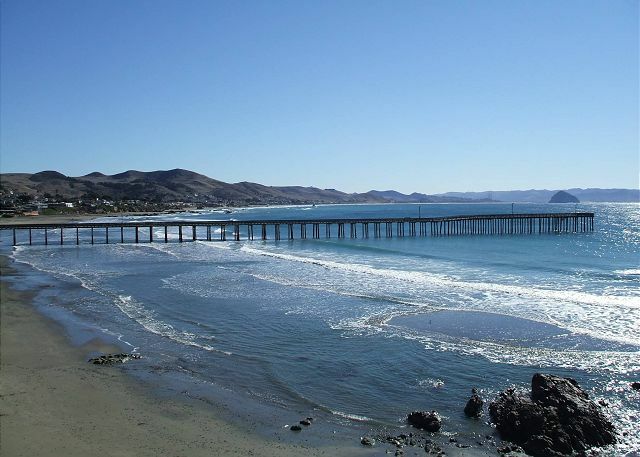 This condo is walking distance to everything you need in Cayucos: shops, grocery store, downtown, etc.. I'm noting down the location since I know we will be returning in the future. Condo was completely remodeled and they did a fantastic job. Just there for 4 days, but it's always nice to stay in Cayucos and the condo was great. The location was perfect, short walk to town and beach access. Loved sitting on the balcony watching the waves and the world roll by. This is my second time to stay at the B-5 condo. It is the best...enjoy the view, the tasteful interior and the linens being furnished. I will definitely be a regular. This is our second stay in this lovely condo. This year we also rented the one bedroom directly below so all the family could have their own bedroom and bath. Great ocean view and nicely furnished kitchen and bedrooms. Just a great experience. Location was great, close to downtown and beach, and central to other destinations. Great views from the condo/balcony. Condo itself was fantastic - the person/company who designed/did the rehab did a great job. The experience was everything we needed and wanted, and better by far than we expected. Great weather, too. I rented the condo for my bridge group and we enjoyed our stay. The condo is a definite 10 and I know some of group will be renting for the families. Absolutely loved the condo, the location, the amenities, the decor....couldn't have been more perfect!!! Would love to come back again and again!!! A+++ all around, from dealing with management company (Rhonda was excellent)to the property I stayed. Absolute pleasure. The architecture is 70's ugly but the interior is beautiful, comfortable and we are planning for at return trip. I would add a better outdoor table, non-breakable serving platters and at least one decent cutting board. Kitchen is great! 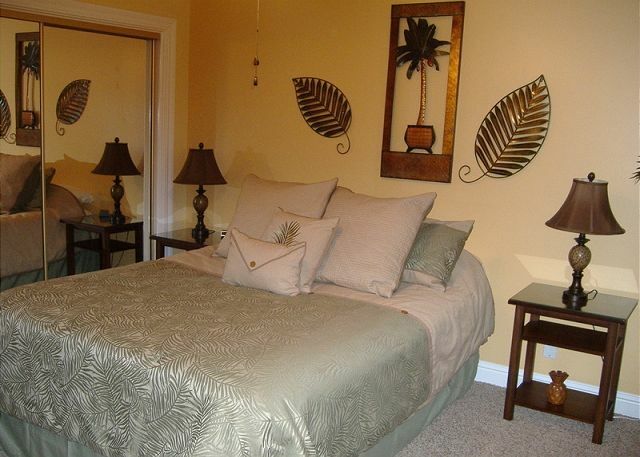 This rental is a great set up with private bedrooms/bathrooms. The interior is nicely appointed and it had everything we needed! Loved being able to walk everywhere. This was a beautifully decorated condo with a great ocean view. We enjoyed our stay and we would definitely visit again! we loved b-5 its worth every penny. The only thing they need to work on is hot water. It does finally get hot but it has to run for a long time, seems a waste of water. beautiful condo. regards, nipper and family. The view was gorgeous, the condo was clean, completely upgraded, very luxurious and well equipped. Stairs below the building brought us straight to the beach (2mins walk), a 5 mins walk to downtown Cayucos. We loved it! This place is a real beauty! Our stay was super comfortable and the location really can't be beat. My only complaint is that the beds were super soft. We removed the pillowtop from the downstairs bed and it was much more confortable, but the upstairs bed is super lumpy--which is a shame because the upstairs bedroom is so pleasant (you can open the skylights and fall asleep to the sound of waves crashing)! If you like soft beds, then you won't find this place a problem. 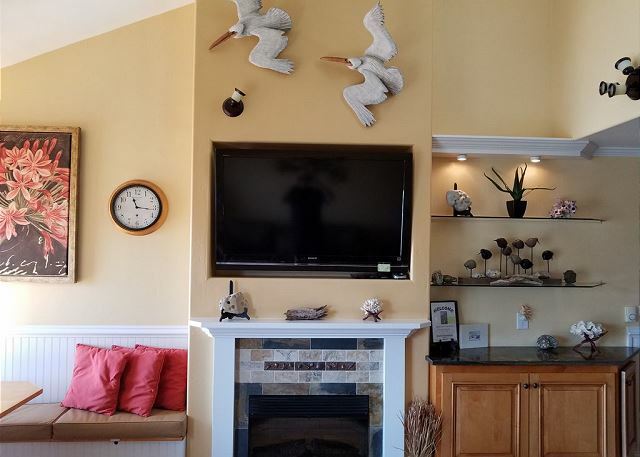 Beautiful views, great beach access, and very moden decor/finishes. I'd definitely return! It was a very nice place to stay the only thing negative was I found a spider on the wall and one in the pillow case and a bug crawling on the clock. I told the property management that they need to spray upstairs.Everything else was great I would stay there again. The entire complex has be tented and fumigated since your last stay. There should be no sign of insects intruding now. Hope to see you again, soon. 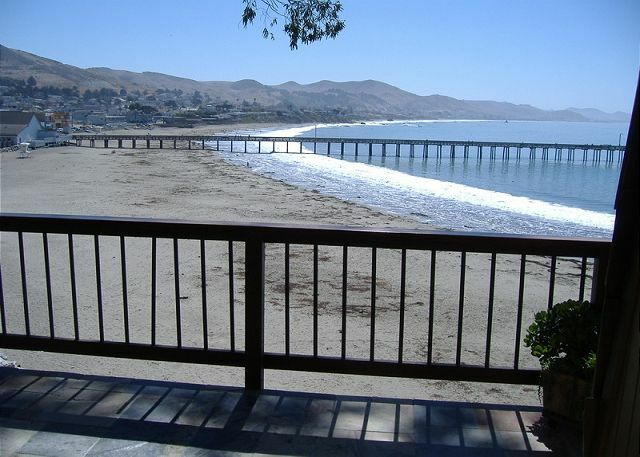 The condo is located near the north end of Cayucos Beach with a terrific view of the whole bay. It is very nicely decorated and well equipped with everything you need for cooking. We loved it!